Proverbs 21:1 The king’s heart is turned wherever God wants? It’s never a good idea to use a psalm or a proverb as a filter to read the rest of the Bible through, because poetic text might obviously not always be the literal truth. It’s shaky to start a new doctrine based on poetry and analogies, and you can reach almost any conclusion you want if you single out a verse out of context in Psalms or Proverbs (or anywhere) and use it as a foundation for a certain theology view. The above verse is sometimes used by our reformed friends (calvinists) as an attempt to support the idea that God has an exhaustive control over all decisions of men – i.e. God predestines every step that a man makes and nothing happens against the will of God. There may be calvinists who disagree with this view, but then they are not consistent with their own doctrines – as in TULIP. It’s true that God may occasionally and in rare situations choose to override the will of man, but calvinists believe God acts in such way at all times and that he constantly steers our steps and wills so that we will always act and think according to his exact will with no exception. They believe that God is no longer sovereign if man has any independent control separate from his own will. Sovereign and sovereignty are not Biblical words (KJV), but also freewillers believe God is ”sovereign”, but obviously not the way calvinists understand this term. A sovereign and an all powerful God is mighty enough to create man with a free will and to be responsible for his (not God’s) own actions. If God is the one who causes us to think and act the way he wants, then of course he is the one to be responsible for our thoughts and actions, but that is not the God of the Bible because it would make him the author of sin. Gen. 5:5 And God saw that the wickedness of man was great in the earth, and that every imagination of the thoughts of his heart was only evil continually.6 And it repented the Lord that he had made man on the earth, and it grieved him at his heart.7 And the Lord said, I will destroy man whom I have created from the face of the earth; both man, and beast, and the creeping thing, and the fowls of the air; for it repenteth me that I have made them. It wouldn’t make any sense at all if God first caused people to have wicked thoughts and constantly perform evil, and then bring a global flood on everyone due to their wickedness that he himself predestined. The wickedness culminated after the nephilim were being born by the sons of God (fallen angels, as per other Bible verses) and female human beings, and wickedness is always against God’s will. 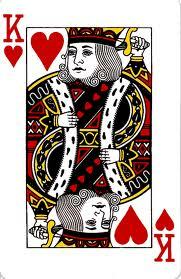 Proverbs 21:1 doesn’t speak about all the people in the whole world but about ”the king”, and this verse might have been written by King Solomon concerning himself. 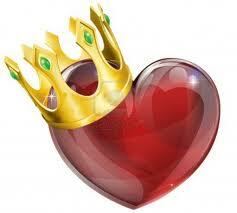 The passage also doesn’t tell us that God controls the king’s heart irresistibly. It’s possible that Solomon is proclaiming that he is fulfilling his appointed role by allowing God to control his decision-making so that his decisions would essentially be the decisions of God, and it is not a statement that God is irresistibly controlling his heart but that the king has fully surrendered his heart and will to the will of God. A good king was to represent God to his people in his judgments and decisions, and we can see this in Psalm 82 quoted by Jesus to the Pharisees in John 10:34-38. In the psalm, the rulers of the people were called “gods” because they were to represent God to His people in their leadership and judgments. In Psalm 82 God is seen to stand in judgment of the judges and rebuke them for their failure to represent God as they were called by God to do. If the Scripture could call wicked judges “gods”, how much more does Jesus deserve to be equated with God since He is sent into the world by God himself? The wicked make plans and those plans seldom include their own destruction or judgment nor the many calamities that might result from their rebellion, but such is their future according to the Lord. Nothing can ultimately thwart God’s overall sovereign plan, and his ultimate control over the universe is in no way threatened by the free will decisions of his creatures. That is the gist of Proverbs 21. What else does Proverbs 21 say? 21:2 Every way of a man is right in his own eyes: but the Lord pondereth the hearts.3 To do justice and judgment is more acceptable to the Lord than sacrifice. It wouldn’t make sense if God irresistibly controls the heart at the same time as he ponders/weighs/judges the heart that he alone controls with no interference or involvement by man. Solomon is concerned about pleasing the Lord in righteousness and justice, and a sacrifice is usually made when a person has transgressed the law of God and needs to be forgiven through the blood of an animal sacrifice. Of course it’s better to be obedient to start with because then a sacrifice isn’t even needed, and we can read that this option is more acceptable to God. Solomon contrasts the desires and actions of men surrendered to God with those who are in rebellion to God and refusing to submit to Him. Solomon himself fell away from the Lord in his later years but when he wrote this Proverb Solomon was committed to the Lord. Is it really possible that God would want people to have a high look, a proud heart and being wicked sinners? It’s absurd to suggest that God could cause people to be evil because in God there is no darkness at all and he doesn’t even tempt anyone – much less cause anyone to sin. 21:5 The thoughts of the diligent tend only to plenteousness; but of every one that is hasty only to want.6 The getting of treasures by a lying tongue is a vanity tossed to and fro of them that seek death.7 The robbery of the wicked shall destroy them; because they refuse to do judgment. A lying tongue would also be something that God doesn’t want anyone to have, and we can read that the robbery of the wicked shall destroy them because they REFUSE to do judgment. It’s not God who leads them in that direction, but they do it to themselves. 21:8 The way of man is froward and strange: but as for the pure, his work is right.9 It is better to dwell in a corner of the housetop, than with a brawling woman in a wide house.10 The soul of the wicked desireth evil: his neighbour findeth no favour in his eyes. Solomon compares ”man” with ”the pure”. The work of the pure is RIGHT unlike the way of man, and this must mean that some people do NOT do what is right before God since all men are not pure. The soul of the wicked desire EVIL, and does it sound plausible that God causes certain men to be wicked and evil? 21:11 When the scorner is punished, the simple is made wise: and when the wise is instructed, he receiveth knowledge.12 The righteous man wisely considereth the house of the wicked: but God overthroweth the wicked for their wickedness. A scorner is not showing a good conduct and that’s why he is punished. The righteous man is contrasted with the wicked man, and we can read that God overthrows the wicked for the reason that he is performing wickedness. Why would God overthrow and punish people for the reason that they are being wicked, if he himself caused them to be wicked in the first place? Instead of being punished they should get praise and applauds for doing the will of God – by being evildoers – if this is what God truly wanted them to be. 21:13 Whoso stoppeth his ears at the cry of the poor, he also shall cry himself, but shall not be heard.14 A gift in secret pacifieth anger: and a reward in the bosom strong wrath.15 It is joy to the just to do judgment: but destruction shall be to the workers of iniquity. Does God want people to ”stop their ears” at the cry of the poor? Surely not, since God repeatedly tells us to be merciful and help those in need. Whosoever is a worker of iniquity must surely be acting against God’s will? The Bible says that God hates the workers of iniquity (psalm 5:5) so it wouldn’t make sense if he would be causing people to be just that, and then turn around and pretend to be angry at the same workers of iniquity. 21:16 The man that wandereth out of the way of understanding shall remain in the congregation of the dead.17 He that loveth pleasure shall be a poor man: he that loveth wine and oil shall not be rich.18 The wicked shall be a ransom for the righteous, and the transgressor for the upright. Here we can read about man wandering out-of-the-way of understanding. It doesn’t say God pushed him out-of-the-way of understanding or prevented him in any way to reach a better understanding, but that the man himself is guilty of this – and the dire consequence for this unfortunate choice is death. Does God want people to love pleasure and wine, and does he want them to be wicked transgressors? Again, I hope all will say NO WAY. Sinning is always against God’s will. 21:19 It is better to dwell in the wilderness, than with a contentious and an angry woman.20 There is treasure to be desired and oil in the dwelling of the wise; but a foolish man spendeth it up.21 He that followeth after righteousness and mercy findeth life, righteousness, and honour.22 A wise man scaleth the city of the mighty, and casteth down the strength of the confidence thereof.23 Whoso keepeth his mouth and his tongue keepeth his soul from troubles. God surely wouldn’t cause people to be foolish and waste expensive oil. The wise man is again contrasted with the foolish man, and it’s up to us to follow after righteousness in order to find life and honor, and it’s up to us to keep our tongue to save our SOUL from trouble. 24 Proud and haughty scorner is his name, who dealeth in proud wrath.25 The desire of the slothful killeth him; for his hands refuse to labour.26 He coveteth greedily all the day long: but the righteous giveth and spareth not.27 The sacrifice of the wicked is abomination: how much more, when he bringeth it with a wicked mind?28 A false witness shall perish: but the man that heareth speaketh constantly.29 A wicked man hardeneth his face: but as for the upright, he directeth his way.30 There is no wisdom nor understanding nor counsel against the Lord.31 The horse is prepared against the day of battle: but safety is of the Lord. Read this passage again about proud, haughty scorners who refuse to labor and who are greedy and covet things that don’t belong to them. The sacrifice of the wicked is an ABOMINATION before God, and the only reason they would even think about doing something like that would be due to a wicked mind. Would God cause people to be wicked and act in such a way? God directs the way of the upright, but the wicked hardens himself. Bad choice on their part. Proverbs 15:26 The thoughts of the wicked are an abomination to the Lord: but the words of the pure are pleasant words.—28 The heart of the righteous studieth to answer: but the mouth of the wicked poureth out evil things.29 The Lord is far from the wicked: but he heareth the prayer of the righteous. The thoughts of the wicked are an ABOMINATION to the Lord, and he is far from the wicked. Would God cause people to be so wicked that they were an abomination before him? That would not be the God of the Bible, but this type of God can unfortunately be seen in books authored by calvinists. Flee to another direction.